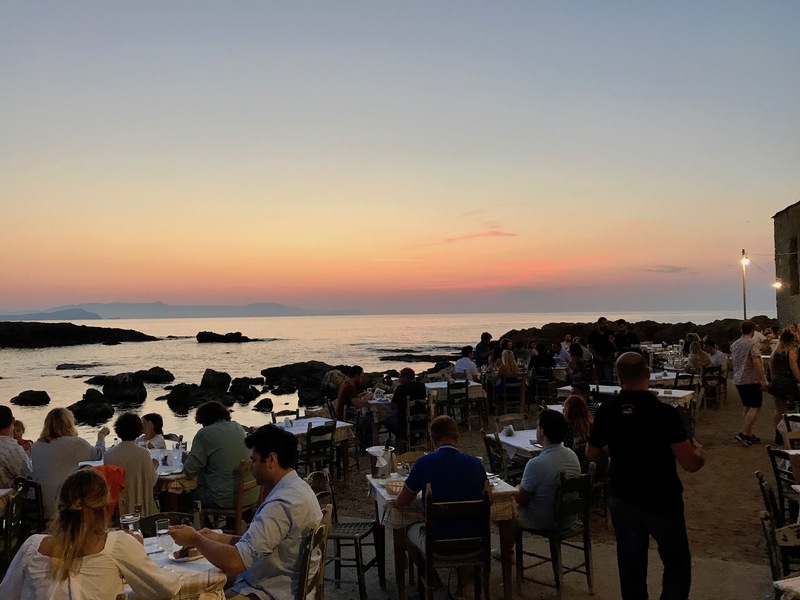 Joe and I only spent a week on the island of Crete, but its magic quickly captivated us. We had a great deal of freedom thanks to our rental car and we used it to the fullest extent. 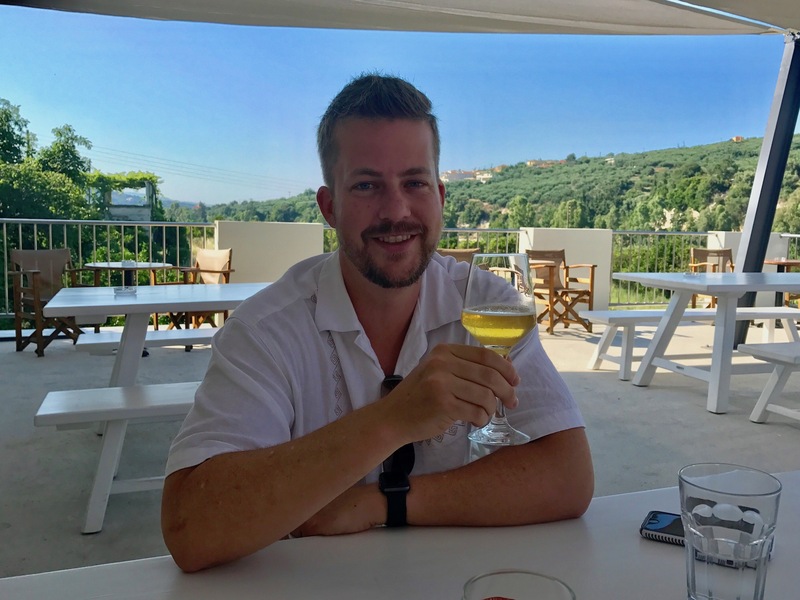 After exploring parts of the western half of the large island, I think Joe fully understood what makes Crete different. The pace is slow and the people are tough but friendly. The food is fresh and simple, and the wine is cheap and delicious. And the mountainous terrain is full of beautiful surprises. Drive west down the main highway from Chania for about 20 minutes, and you’ll turn off at a rather nondescript, industrial exit. Follow the increasingly curvy road up into the foothills of the White Mountains and you’ll start seeing signs. Three wineries are tucked up this route along with a forward-thinking brewery (more on that later). We visited two wineries and both surprised and delighted us. 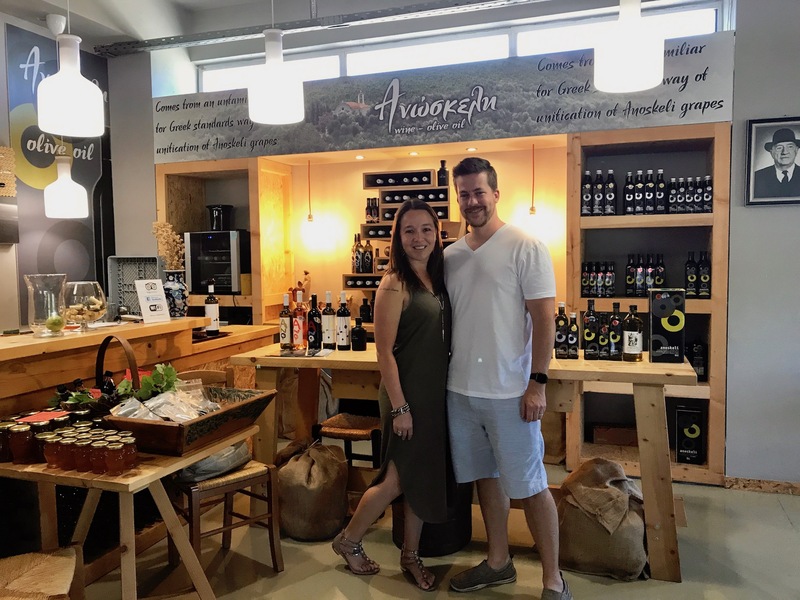 Our first stop brought us down a hairpin, one-lane road to Anoskeli Winery, a small place built into the side of an olive-covered hill. A lovely woman named Ephie guided us through our tasting. She brought out platters of bread drizzled in homemade olive oil, fresh sliced veggies and flavorful cured meats. We tried two crisp whites, a light and fruit-forward rosé, and two very different reds. The most amazing aspect of this relaxed and informative tasting was the price: 5 euros per person. I’ve never received so much good wine and food and such great service for so little cost. Our tasting journey continued up and down small backcountry roads, a steep drop to our left and endless olive orchards to our right. 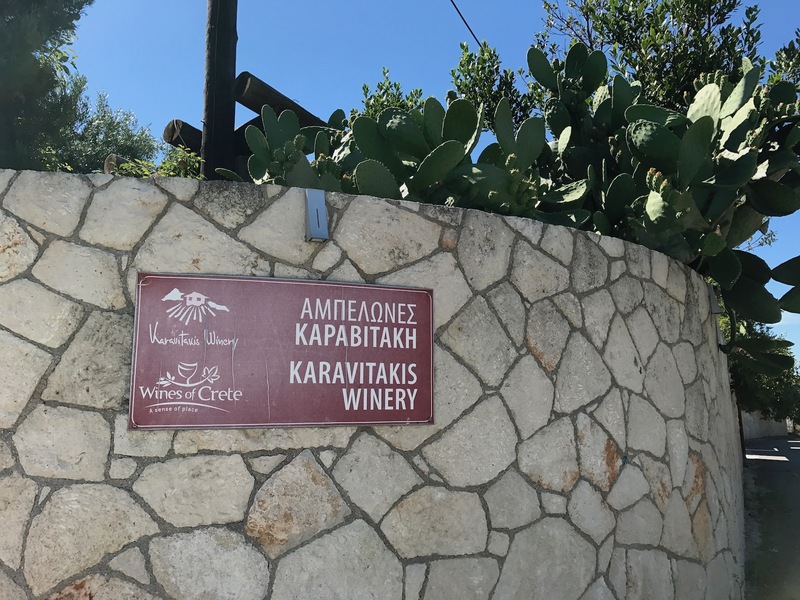 The winemaker at Karavitakis Winery, our second stop, led us through our tasting in a basic grey tee-shirt and jeans, his salt-and-pepper hair spilling over his brow. 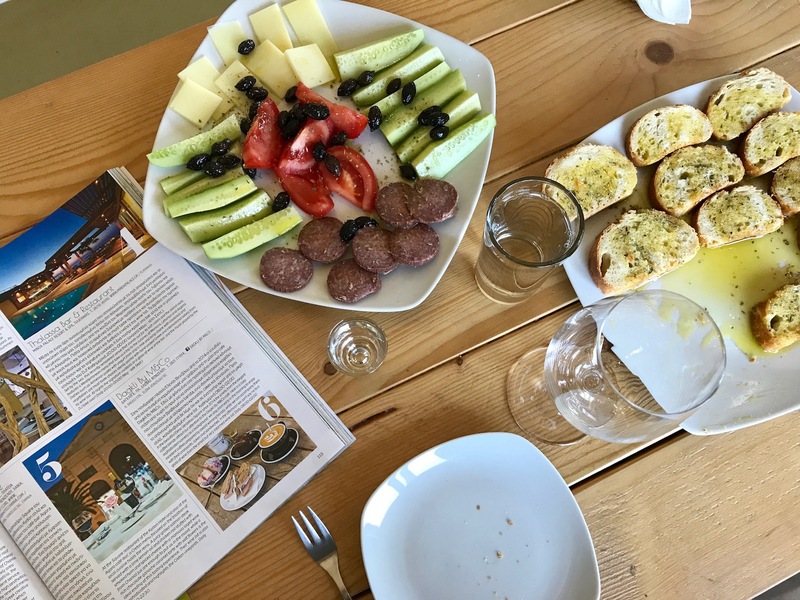 Karavitakis likes to push the envelope and experiment with lesser-known or temperamental grapes, and they even made a port-like wine from a varietal which hardly likes to grow at all. Since we “only” received 6 wines and some bread, olives, and cheese, the tasting set us back just 3 euros each. Unbelievable! Leave it to my husband to find the one microbrewery around Chania. The Cretan Brewery, located in the same valley as the wineries, has been churning out increasingly massive quantities of good lagers since 2007. Joe was about to try his 1,000th unique beer and this little local brewery seemed like the perfect venue. 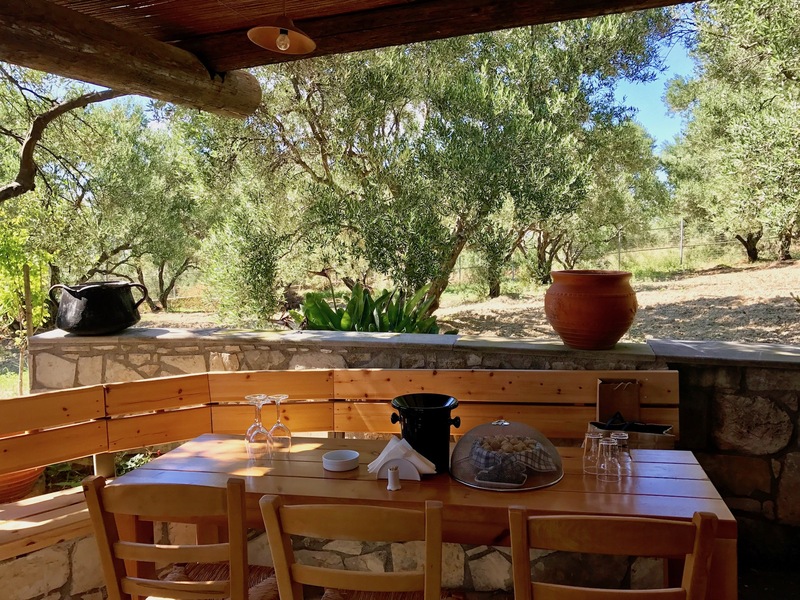 The shady, expansive patio looked out over olive and orange orchards. Jars of hops, barley and corn adorned the picnic tables. A friendly young woman gave us the grand tour, and then we eagerly settled in to try some beers. All of the brewery’s beers are fresh and must be consumed within a week (bottle) or month (keg) of production. Their flagship lager pushed Joe over 1,000, but the über refreshing Australian lager summer seasonal was our favorite. As a bonus, the owner tries to make his business as green as possible and even sells the leftover mash to local farmers to use as fertilizer and fodder. One does not simply come to Crete and not enjoy copious amounts of fresh seafood. I had my eye on a little fish restaurant just outside the center of Chania from the beginning. Tables were scattered over a gravelly patch of land tucked between the restaurant itself and the edge of the water. We watched the sun set as tiny fish jumped and cats tried to catch them in the shallows. Our whole fish was measured by the kilo and its delicate, juicy flesh melted in our mouths. After our adventure down to the hidden Seitan Limani beach, I insisted that we grab a seafood lunch “on the way back” to Chania. Even though Patrelantonis Fish Taverna was actually in a town the opposite direction, I knew it would be worth it. 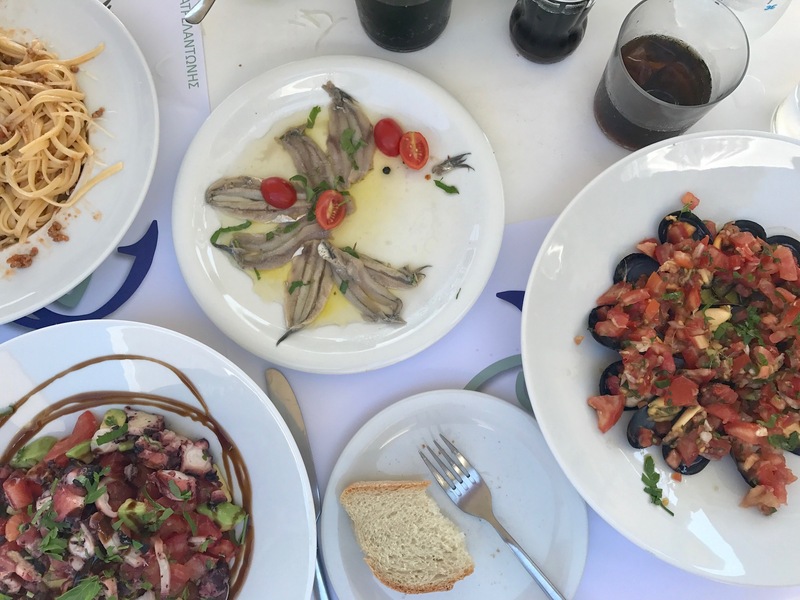 As soon as I saw fresh marinated sardines, octopus salad, and mussels in ginger and tomato on the menu, I knew I was right. We feasted on this light, flavorful food as we basked in our post-sunbathing, cliff-jumping glow. Joe was especially happy to add a hearty bowl of spaghetti bolognese to our meal. He described it as the perfect, satisfying, basic bowl of pasta. Give the people what they want! 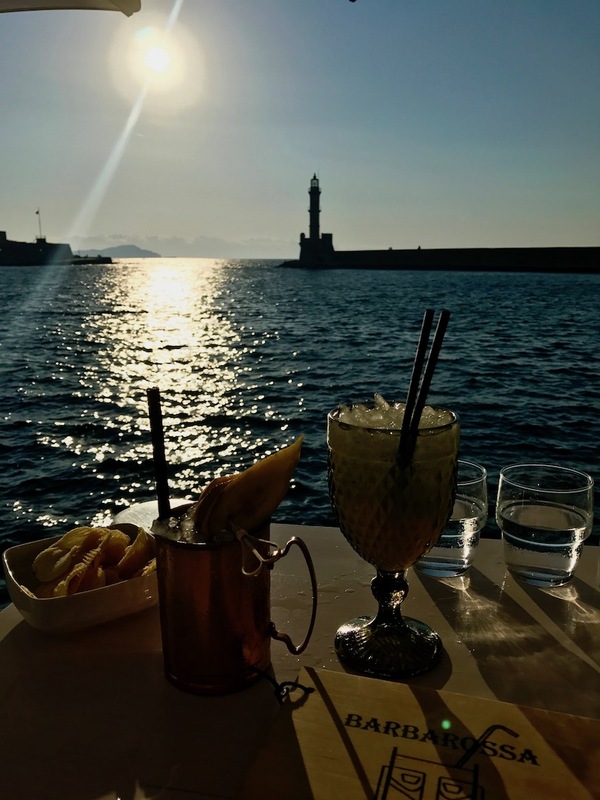 There are so many bars and restaurants lining the old harbor of Chania, but we quickly found our favorite. Tall tables were covered by umbrellas until the sun went down and the cocktail list was inventive and varied. Whether we grabbed a quick beer or a more elaborate beverage, the view across the bay never disappointed. Chania’s old lighthouse sits at the end of a very long, stony pier that closes off the harbor, and the tiny silhouettes of tourists would dance against the deepening orange sky. The soft yet constant breeze always made it hard to leave in search of dinner. It’s a small thing, really. But it makes all the difference. 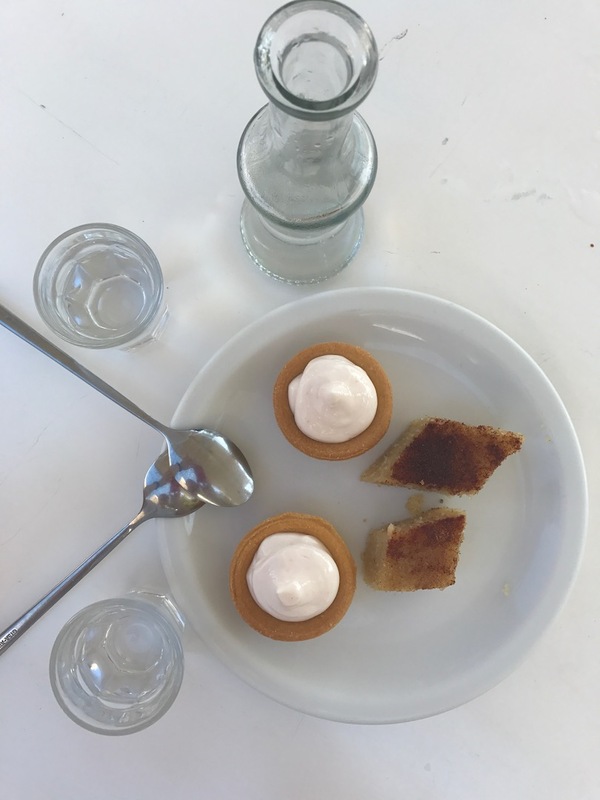 After every lunch or dinner, any Cretan restaurant worth its salt serves diners a small bottle of raki and a dessert. For free. Made from leftover pressed grape skins, raki is harsh but invigorating. I came to love this small but warm gesture and always looked forward to ending our meals that way.